Selsey fireworks this year was a ‘great success’ according to the event organisers, despite emergency calls during the evening. The display on Saturday night was delayed due to an incident at the site entrance in which police confirmed three people were injured, one with a head injury that required hospital treatment. Police said a 14-year-old boy was arrested on suspicion of common assault and actual bodily harm after a fight broke out at around 8.30pm, when the fireworks were due to start. The boy has been released under investigation, police added. Fire crews were also called to the event after the bonfire caught a nearby tree and a hedgerow, reported to the fire service at around the same time. 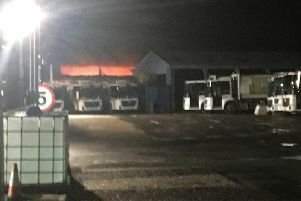 Chairman of Selsey Fireworks, David Butcher said the wind changed direction and caused the bonfire to ‘singe’ a nearby tree. But he said the call to the fire service by a member of the public was unneccessary as there had been fire marshals organised and on hand. He said: “The event was a great success, lots of people got to enjoy a great display. He said no guests were hurt as they were all inside the site at the time of the assault, which was initailly dealt with by security. Mr Butcher added that the tree had had been inspected and it had ‘a few leaves singed’ and the fire did not cause any injuries. West Sussex Fire and Rescue Service confirmed two fire engines – from Chichester and Selsey – and a 4x4 attended an incident at the fireworks display in Paddock Lane. The service said the fire was extinguished by crews using two hose reels. Crews left the scene at 9.15pm.